The Asian Legal Resource Centre (ALRC) and Advocacy Forum (AF) would like to draw the attention of the Human Rights Council to serious political developments in Nepal that risk engendering an acute human rights crisis in the country, which until recently hosted an Office of the High Commissioner for Human Rights (OHCHR) country office. The mandate of this office was established in April 2005, and its presence significantly and positively impacted the protection of human rights, especially during the conflict period. Prior to the office being set up, Nepal had the most serious problem of forced disappearances, with the country being the source of the highest number of new cases of enforced disappearance that were being submitted to the Working Group on Enforced or Involuntary Disappearances. International monitoring, notably of places of detention, that the UN presence provided, led to an end to long-term disappearances. The OHCHR’s presence during and since Nepal’s 2006 popular uprisings, which toppled the country’s monarchy and brought to an end the decade-long conflict, has been significant in ensuring international monitoring and prevention of rights violations, providing civil society with greater space, and its departure should not signal the end of the involvement of the international community in Nepal. The country’s Constituent Assembly (CA) was dissolved at midnight on May 28, 2012, after it failed to draft and adopt a new constitution, in spite of having its mandate extended four times from an original term of two to four years. Fresh elections have been called for November 22, 2012, leaving the constitutional and human rights situation in an extended state of limbo. The OHCHR office in Nepal ceased all new substantive work as of December 8, 2011, on account of the Government of Nepal refusing to extend the Memorandum of Understanding with the OHCHR. The country now finds itself without vital international monitoring, at a time when a new political and human rights crisis is looming, and past violations have not begun to be addressed effectively. The ALRC and AF are gravely concerned that the current political impasse means that Nepal is on the brink of a return to widespread serious human rights violations and possibly even communal violence, and are therefore urgently calling for the Human Rights Council and its expert mechanisms to take all necessary measures to ensure that effective monitoring is in place and to press all actors in Nepal to guarantee the protection of human rights. The ALRC and AF are also gravely concerned by the fact that the political crisis will serve to further delay efforts to address past human rights violations and related impunity, without which any measures to develop the rule of law and democracy will be unlikely to succeed. In November 2011, a special five member bench, headed by the Chief Justice, had authorized the CA’s tenure to be extended for one last time for a period of six months. In spite of this, and amid continuing disagreement about the federalist structure of the state, the government registered a bill seeking to amend the Interim Constitution to extend the CA’s deadline by another three months. On May 24, the Supreme Court issued an interim order against the move to extend the CA’s mandate On May 28, 2012, the Prime Minister announced the dissolution of the CA and the holding of fresh elections on November 22. The role played by the judiciary in dissolving the CA has also brought it under fire from certain political actors for allegedly exceeding its jurisdiction. The Maoists continue to perceive the judiciary as being biased against them. The risk of a popular backlash against the judiciary is a reality and may strengthen calls to reduce its independence and strength. The shooting and killing in broad daylight, on May 30, 2012, of a sitting judge of the Supreme Court, while he was going to the court from his home, speaks to the increasingly hostile environment faced by the judiciary. The ALRC and AF therefore fear that the sense of insecurity among judges, and a reduction of the judiciary’s capacity and independence, would seriously undermine Nepal’s prospects for future stability, the rule of law, and an effective framework for the protection of rights. The current situation remains extremely volatile, with a vacuum of political legitimacy in Kathmandu risking an escalation of violence across the country. The Nepali people’s trust in their political institutions and major political parties have been considerably eroded, as these have apparently placed their own political interests and objectives ahead of those of the aspirations of the people they represent. The increased proliferation of “bandhs” (shutdowns) in the lead up to May 28, suggests that the national political parties may be losing their leverage over protests groups they had previously helped organize. Nepal’s far-western region was subjected to crippling bandhs for some 30 days in May, which alongside disrupting daily life, hampered access to essential services including to food and medicine, affecting the most vulnerable, including the sick. The interest groups who managed to show enough force or who were more privileged, were able to sign agreements with the government yielding to their demands. This reflects the piecemeal approach that has characterized Nepali politics since the end of the conflict, in which the demands of the most organised and vocal are heeded, while the most isolated and vulnerable communities are ignored. Of particular concern for human rights organizations is the absence of progress in the establishment of institutions to deal with human rights violations committed during the conflict. The Comprehensive Peace Agreement made accountability and justice cornerstones of the peace process and envisioned the creation of a Truth and Reconciliation Commission. A lack of political will to see institutional actors or political supporters brought to book, the absence of strong and functioning rule of law institutions, and ongoing political instability and brinkmanship have prevented the establishment of truth or justice to date, however.1 This has been characterized by increased government intervention to prevent investigations and prosecutions concerning grave human rights abuses, including by recommending massive withdrawal of pending criminal cases, recommending a pardon for a politician convicted of murder, or even considering a general amnesty for conflict-period violations. On April 19, 2012, Nepal’s major political parties agreed to merge the initially proposed Truth and Reconciliation Commission and Commission of Investigation into Disappearances into one commission, the Integrated Reconciliatory Commission, placing a heavy emphasis on reconciliation over justice. There are persisting concerns that this single commission would be granted the power to provide amnesties, including for grave human rights violations and even in cases in which the victims refuse to pardon the perpetrators. The dissolution of the Parliament and current political crisis are likely to further undermine, or at least significantly delay, the establishment of mechanisms designed to establish accountability. In addition, although the end of the conflict brought about a measurable improvement to the human rights situation in Nepal, serious human rights challenges remain and must be immediately addressed. Gender-based and caste-based violence remain rampant and are accompanied by impunity. Although reports of extrajudicial killings in Nepal’s Terai region have diminished compared to the years immediately following the conflict, armed groups remain active and violence remains endemic there. Attacks against journalists have been on the rise, in particular they have been increasingly vulnerable to physical assaults by demonstrators while covering bandhs. In April 2012, the Committee to Protect Journalists ranked Nepal sixth in its Impunity Index.2 On May 22, Reporters Without Borders has revealed that some 50 journalists had come under attack during the previous two weeks. The use of torture persists at worrying levels. According to the latest data published by Advocacy Forum, out of 1919 detainees interviewed in 57 detention centres between July and December 2011, 24.2% claimed to have been subjected to torture.3 The country lacks legislation criminalizing torture or any mechanism to guarantee the accountability of security forces, which enables systematic impunity for this grave human rights violation. In May 2012, the government tabled a bill before the now-dissolved parliament, which, although in need of substantial revision, if adopted would have criminalized torture in the country for the first time. With the Parliament now having been dissolved, such legislation remains in limbo. The security forces and law enforcement agencies have not been reformed since the end of the conflict, and their continuing refusal to cooperate with criminal investigations into past and ongoing abuses is entrenching impunity and undermining the rule of law. Nepal has faced several severe political crises since 2006, but the current situation is not only amongst its most grave, but also coincides with the withdrawal of an international presence able to monitor human rights, with the end of the activities of the OHCHR’s country office in December 2011. Nepal has yet to develop a national body that is able to play the role of an active, strong and independent human rights watchdog; its National Human Rights Commission is crippled by a lack of resources, independence and authority, especially after changes to its governing statute in January 2012. The international system has been important in bolstering human rights in Nepal to date, for example by ensuring that the government and political parties were informed that declaring an amnesty for human rights violations committed during the conflict would be unacceptable internationally, which is believed to have significantly dampened such efforts thus far. The current situation clearly requires the international community to ensure that there does not develop an international monitoring gap at the time that Nepal most urgently requires this, as there is a grave risk that the work of the OHCHR in the country, the gains made to date since the end of the conflict, and the prospect for future developments in favour of the rule of law and the protection and enjoyment of rights, could be erased by a serious deterioration of the political, security and human rights situation in the country. 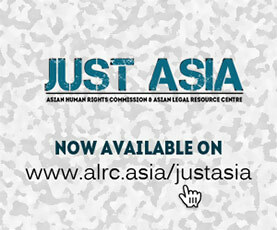 The Asian Legal Resource Centre and Advocacy Forum therefore urge the members of the Human Rights Council as well as all states that have participated in working to ensure stability, peace and human rights in Nepal, to ensure that close attention is paid to current developments in the country, and consider all necessary measures to renew effective monitoring and action concerning human rights violations there. The Human Rights Council must also intervene with the authorities in Nepal to ensure an end to the political and institutional limbo that is preventing truth, justice and protection of human rights for past and ongoing violations. The police and judiciary must be instructed to ensure the investigation and prosecution of all allegations of human rights violations and be allowed to do so free from political interference, including but not limited to cases concerning which Nepal’s Supreme Court and the lower judiciary have issued investigation orders.